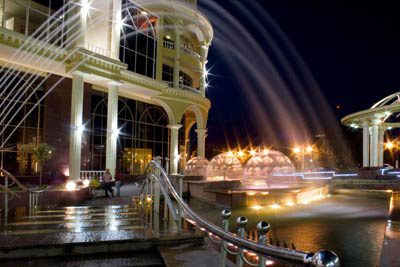 Kursk is the administrative, industrial, cultural and scientific center of Kursk region. 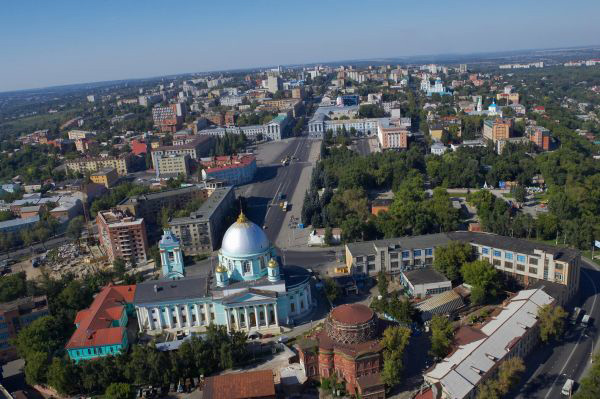 The city is located on the Central Russian Upland, where the Seym River meets its tributary, the Tuskar River, its altitude above sea level is 200-250 m.
Kursk is one of Russia’s cultural and religious centers. The city features powerful industrial capacities, science and education centers. Kursk is a transport hub in Central Russia. Kursk region is part of Russia’s Central federal district. Moderately continental climate. Average January temperature: -8°C, average July temperature: 19°C. Annual precipitation: ca. 500 mm. Junction of the Moscow - Kharkiv and Kiev - Voronezh railways. Kursk stays on the Moscow - Simferopol Highway. Kursk region is a well-developed and still environmentally friendly industrial and agricultural region of Russia’s Central federal district with moderately continental climate, located in the forest-steppe zone, a relatively favorable climatic environment for efficient agricultural production. The region has an area of 30 thousand square kilometers (0.2% of Russia’s total area). With a population of 1,119.6 thousand people as of January 1, 2016, Kursk region has 753.8 thousand urban residents, 365.8 thousand country people. Russian people account for 96% of the total population; Kursk region is home to 44 nationalities, with almost all religious confessions represented. Kursk region currently has 355 municipal entities, including 28 municipal districts, 27 urban settlements, 295 rural settlements, 5 cities and towns (Kursk, Zheleznogorsk, Kurchatov, Lgov, Shchigry. Since March 1, 1994, Kursk has been consisting of 3 administrative districts: Zheleznodorozhny, Seymsky and Central. The region has well-developed transport infrastructure. A number of highways and a rail network link it to Moscow, St. Petersburg and other cities of Russia, industrially developed centers of Ukraine and South Caucasus. Air services are provided to passengers at the terminals of Kursk airport qualifying as an international air harbor. Kursk region is pierced by 6 gas trunklines and 2 oil trunklines 2. At the start of 2016, the gas infrastructure penetration level in the region as a whole was 93.7 % (89.8 % in rural areas). Being unique in volume and diversity, the region’s natural resources are enough to cover the local demand, some of the raw materials can even be supplied to other regions. Almost all known minerals known to the world occur in Kursk region. Kursk Magnetic Anomaly, the world’s largest iron ore deposit, provides Russian and foreign ferrous steelmakers with raw materials. The mineral resources of Kursk region include titanium, zirconium, phosphorites, peat, chalk-stone, molding sand, high-melting clays and loams, and that’s not nearly a full list of local subsoil riches. Kursk region is a region with appreciable industrial potential. The local industry has 15 branches. The biggest contributors to the overall economic performance are electric power, mineral production, mechanical engineering, metalworking, food and food processing industries. The region maintains a high level of energy security. The biggest energy producer, the Kursk nuclear power plant, with a design capacity of 4,000 MW, annually produces 29 billion kWh of electricity and supplies electricity to most of the regions in Russia’s Central federal district. Construction of the replacement plant (NPP-2) has started. The first two power units of the Kursk NPP-2 will be put into operation simultaneously with the decommissioning of power units 1 and 2 of the existing nuclear power plant in 2022 and 2023, respectively. The main player in Kursk region’s ferrous metallurgy sector Mikhailovsky GOK, a leading producer of iron ore concentrate, sinter ore and pellets which develops the Mikhailovskoye iron ore deposit. Its annual of production output reaches approximately 18 million tonnes of iron ore and 10 million tonnes of pellets. With today’s rate of production, the ore reserves exceeding 10 billion tonnes suffice for at least 300 years. The leading machine-building companies produce a wide range of high technology products: storage batteries, mobile power plants, generators, geology-prospecting and oilfield equipment, radio-measuring devices, bearings, low-voltage units, medical devices, etc. The chemical and petrochemical industry supplies rubber and plastic items, chemical threads and fibers, paints and varnishes, polymer-based products. Kursk region also produces modern pharmaceuticals and medical equipment. The light industry delivers knitted and sewn items, footwear and leather products to the market. Companies specialized in the timber, woodworking, pulp and paper industry manufacture fiberboard, furniture, wooden engineering structures, print packaging made of cardboard and single-face laminate, as well as flexible packaging materials. The local food and food-processing industry comprises sugar plants, milk processing factories, animal feed mills, distilleries, as well as meat, bakery plants and a confectionery factory. Kursk region has a fast-paced construction complex including about 1,500 businesses and organizations, their products meeting all modern requirements. The agricultural sector contributes essentially to the regional economy. The main wealth of Kursk region is the Black Earth Belt, one of the main sources of economic development for the region. Black earth soil accounts for about 80% of the local farmland. The plant growing industry is mainly focused on the production of grain and forage crops, sugar beet, potatoes. Under favorable weather conditions, the farmland of Kursk region annually yields 4 million tonnes of grain and as much sugar beet. In 2015, Kursk region produced 3.6 million tonnes of grain with an average crop yield of 34.0 dt/ha; in 2016, total grain crop in the region is projected at ca. 4.0 million tonnes. Last year’s sugar beet production amounted to 3.4 million tonnes, the crop yield reaching 352 dt/ha; in 2016, farm producers expect to harvest 4.0 million tonnes of sugar beet. In 2015, local production of oilseeds reached 537 thousand tonnes increasing by 27 thousand tonnes against the 2014 level; this year’s crop is projected at over than 500,000 tonnes. Animal farming in the region specializes in dairy and beef cattle as well as pig-breeding. 84 production sites (72 for meat, 12 for milk) have been built in Kursk region in recent years. 30 major retail chains contribute to the dynamic development of the consumer market. Kursk region possesses modern supermarkets and hypermarkets kitted out with state-of-the-art equipment and employing full process cycles from production to sales, improves trading in markets. Kursk products are in demand both in Russia and abroad. According to the customs statistics, businesses and organizations registered in Kursk region were engaged in trade with 78 countries of the world in 2015. At the end of 2015, the foreign trade turnover of Kursk region amounted to USD 746.4 million, including: exports worth USD 326.0 million, import worth USD 420.4 million. The breakdown of exports from Kursk region is as follows: iron ores and concentrates (25.9%), food (25.2%), chemical products (19.4%), metals and metal products (11.4%), mechanical engineering products (9.7%), textiles, textile products and footwear (7.4%), wood and wood products (0.5%), rawhides (0.4%) and other products (0.1%). Exports from Kursk region to the CIS are dominated by supplies to Ukraine (USD 56.6 million), Azerbaijan USD 6.5 million), Turkmenistan (USD 4.5 million). Last year, the economic entities of Kursk region supplied products worth USD 246.9 million to non-CIS countries, including exports to in China (USD 64.1 million), Poland (USD 22.7 million), Germany (USD 20.7 million), Latvia (USD 21.4 million), Singapore (USD 13.0 million), Italy (USD 11.6 million), Romania (USD 8.2 million). The local mature network of financial institutions covers all districts of the region. The local independent commercial Bank Kurskprombank and the branches of Russia’s leading commercial banks are capable of providing the whole range of services required to finance investment programs and projects, including those implemented in partnership with foreign banking institutions. Kursk region has developed a multifunctional system of 23 higher education institutions, the backbone of which is the local state universities: Kursk State University, Southwest State University, Kursk State Agricultural Academy, Kursk State Medical University. 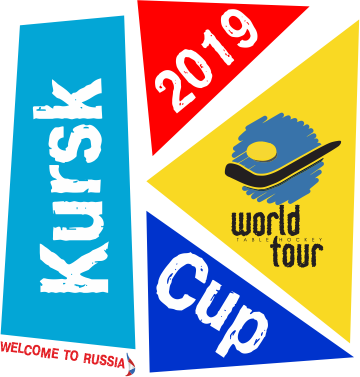 One of the key elements of Kursk region’s investment appeal is its tourism potential. Pilgrimage tourism is one of the main businesses for local travelling companies. Domes of 282 operating temples and 7 monasteries overlook Kursk region. The Kursk Korennaya Hermitage is widely known far beyond the borders of Kursk region. It is here that the Kursk Korennaya “Znamenie” of the Virgin miracle-working icon which played a significant role in the history of Kursk region was discovered in 1295. A monastery was built here in the 16th century. Over the past three centuries, in the ninth Friday after Easter, the Kursk Korennaya “Znamenie” icon is carried in a solemn religious procession from Kursk to the place of its discovery in Svoboda place. Kursk region has more than 4,000 cultural heritage assets, including monuments of archaeology, architecture and arts, about 400 military glory monuments. Twenty kilometers away from the ancient town of Rylsk, there is a unique monument of culture and architecture, the Maryino estate once belonging to Baryatinsky princes. The tourism infrastructure of the region includes more than 30 hotels, 27 children’s recreation camps, 18 sanatoria, recreation centers and health resorts, as well as catering establishments, leisure and entertainment facilities.